Where are you God? …………new St. Pastors………..Astounding Detail!………..a Heart-Rending encounter….. 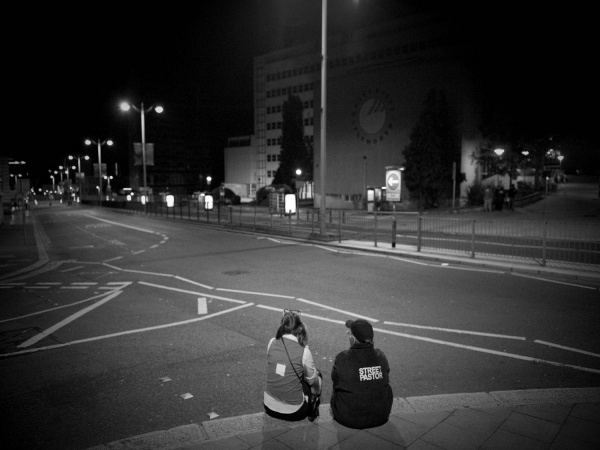 The Street Pastors Initiative is an interdenominational Christian response to today’s social problems, spearheaded by Ascension Trust. There are some 300 Street Pastor initiatives throughout the country (and some abroad) and more than 15,000 trained Street Pastors. 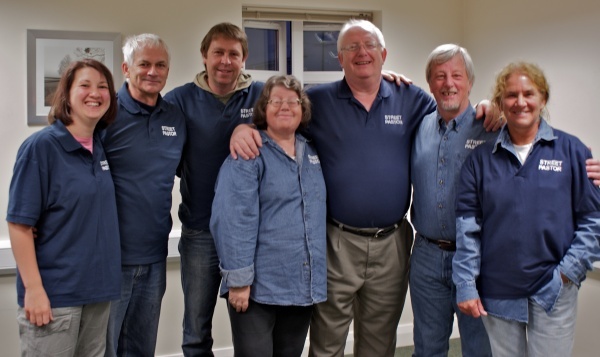 After a launch meeting at the Council chambers in December 2007, attended by representatives of the churches, the Police and the Council; just under 50 people commenced training to become Plymouth Street Pastors in January 2008. Four months later the course was completed and on 23rd May, 48 newly commissioned Street Pastors began their patrols in the Mutley, North Hill and Greenbank areas. Today those patrols have extended to include Union St, the City Centre, the Barbican, Bretonside, Warner Village and Sutton Rd. (all 10 pm every Saturday till 4 am on Sunday) and we patrol Torpoint once a month on a Saturday night / Sunday morning. We have also provided Friday evening patrols in Whitleigh, Estover, Leigham, West Park, Honicknowle, Ernesettle and Southway. Plymstock was also covered via our School Pastors until Feb 2014 (see School Pastors page). In addition, we may also provide extra patrols on particular dates such as Bank Holiday Sundays, Halloween etc. We would particularly like to thank Shekinah Mission, Cornerstone Methodist/URC and St Chads for the use of their buildings during our patrols, for which we are very grateful.